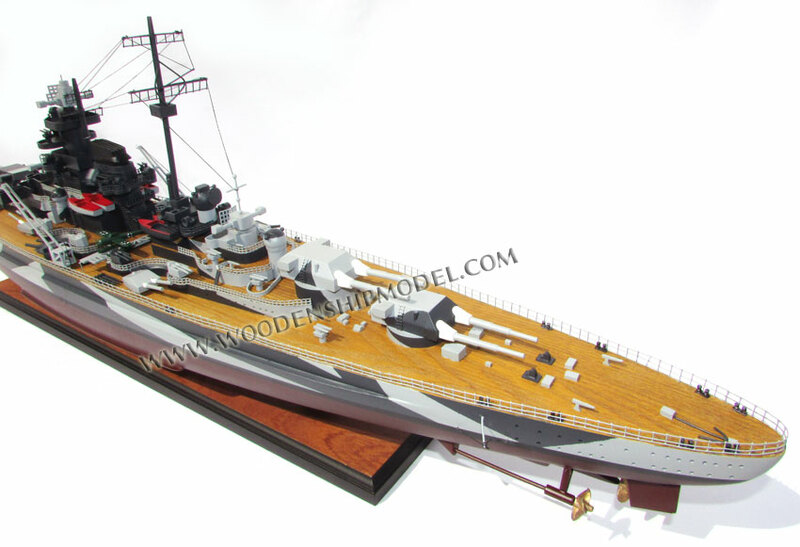 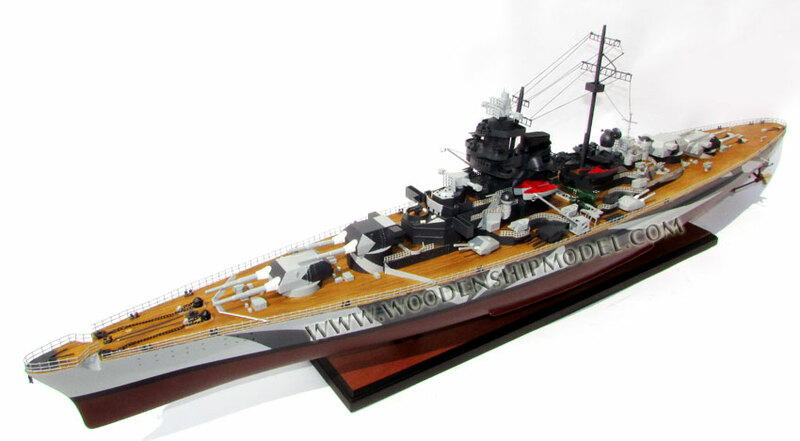 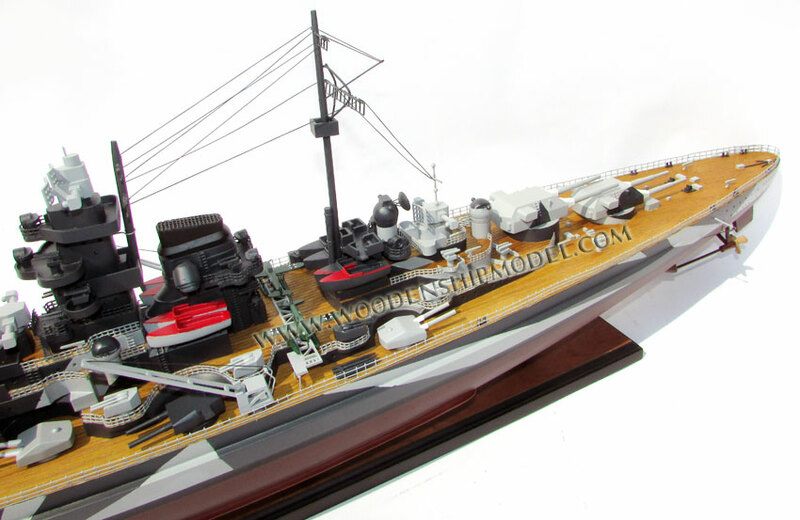 This battle ship model is all hand-crafted from hard wood with planks on frame construction and painted as the real ship. 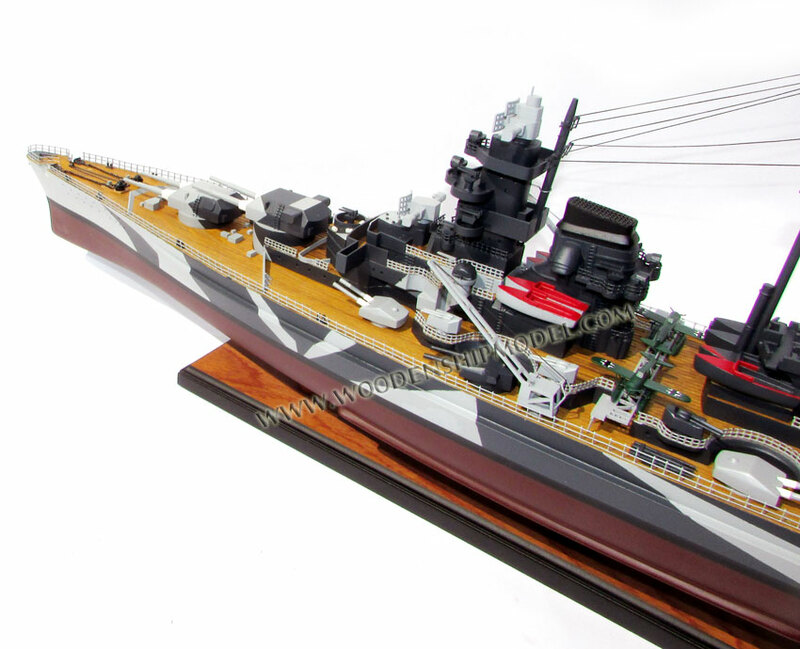 There are no plastic on the model but all details are meticulous hand made and painted. 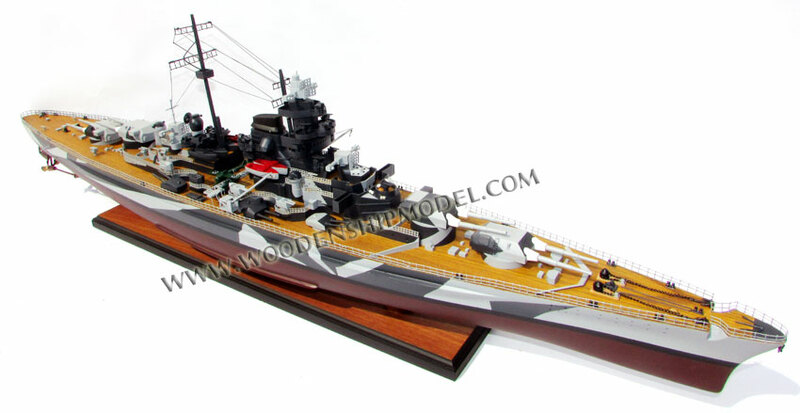 The model is full assembled, included a brass nameplate and ready for display. 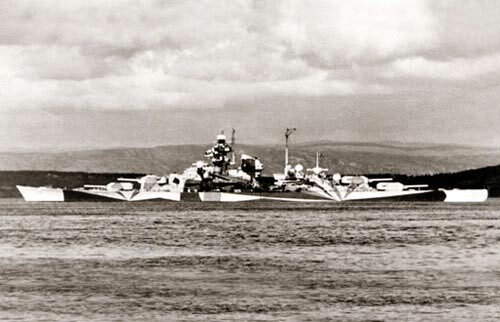 Tirpitz was the second of two Bismarck-class battleships built for Nazi Germany's Kriegsmarine (navy) during World War II. 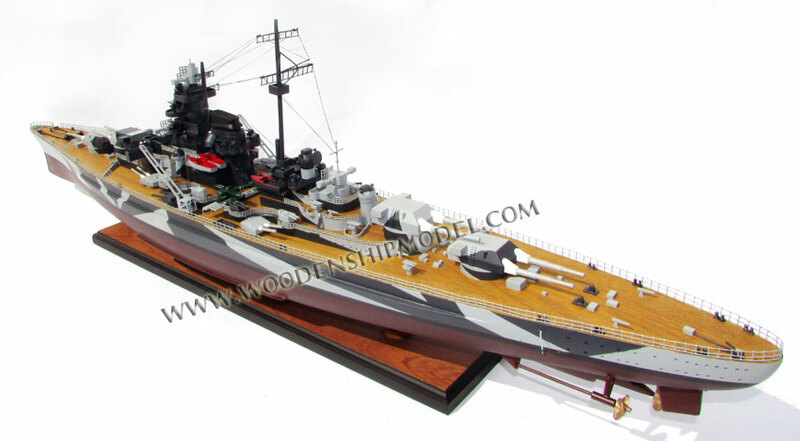 Named after Grand Admiral Alfred von Tirpitz, the architect of the Kaiserliche Marine (Imperial Navy), the ship was laid down at the Kriegsmarinewerft Wilhelmshaven in November 1936 and her hull was launched two and a half years later. 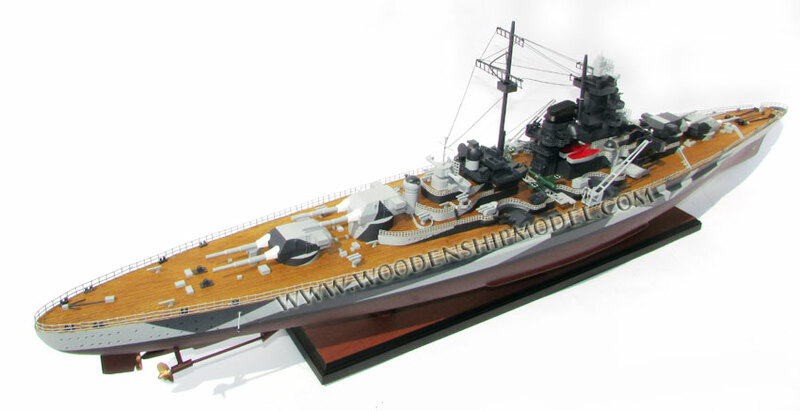 Work was completed in February 1941, when she was commissioned into the German fleet. 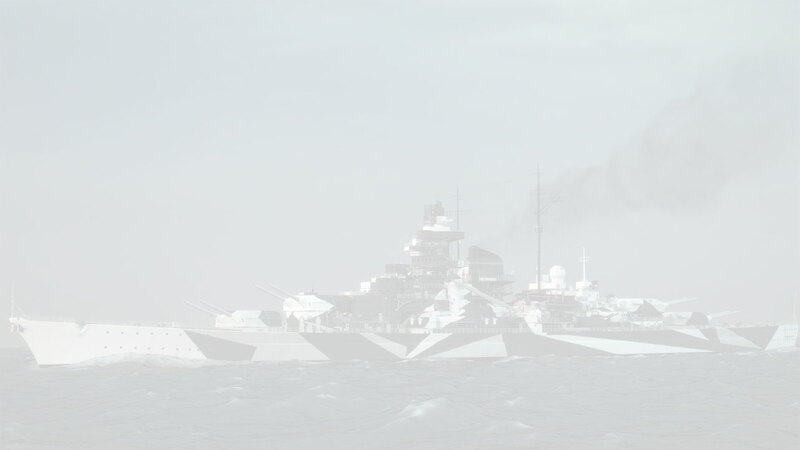 Like her sister ship Bismarck, Tirpitz was armed with a main battery of eight 38-centimeter (15 in) guns in four twin turrets. 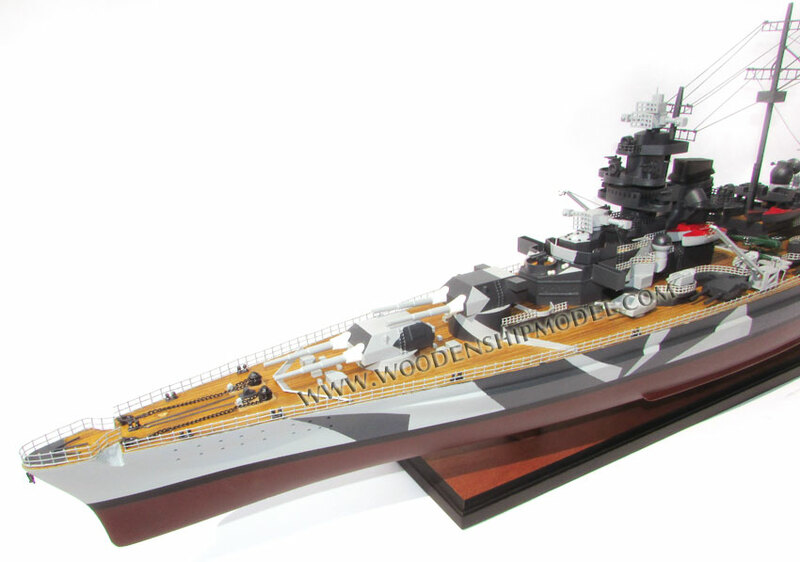 After a series of wartime modifications she was 2,000 metric tons (2,000 long tons) heavier than Bismarck, making her the heaviest battleship ever built by a European navy.